(this may also be rotated by several right turns, or horizontally reflected or vertically reflected). As suggested by Slepz in comments, it is clear that no corner cell may be covered, and no two adjacent edge cells may be covered. It follows that at most 5 of the 9 non-corner cells on each long edge may be covered, and at most 4 of the 8 non-corner cells on each short edge may be covered. This gives an upper bound of 5+5+4+4=18 for the number of covered edge cells. Proof: Following the same logic as the previous paragraph, 5+5+4+4 would be the only possible way to achieve 18. 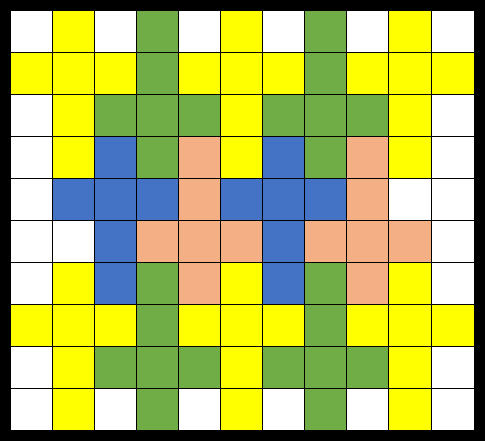 By inspection we can see that the only way to cover 5 squares on the long edge is the green-yellow pattern in Jeff B's answer (with two possible orientations). However, note that each yellow cross actually eliminates 2 non-corner cells on each short edge. Considering both yellow crosses on one short edge, this means only the two central cells of the short edge remain. Since they are adjacent only at most one can be covered. So we have shown that if 5 cells are covered on both long edges, then at most 3 cells may be covered on either short edge. This proves the lemma and reduces our upper bound for edge square coverage to 16. Finally, since there are 8 x 9 = 72 non-edge squares, 72 + 16 = 88 is now the upper bound on coverage for all squares; therefore placing 15 crosses (which would cover 90 squares) is not possible. Seeing what seemed to be wasted space, I tried rotating a few (e.g., the leftmost bluish cross), but couldn't get any more in. Corners are out. Since the shape has... let's call them "jutty-out parts"... none can be packed flat against a side, so there will necessarily be unused squares on every single side. Packing them as closely as possible (as I have at the bottom), each long side will have the previously-mentioned $2$ unused corner squares as well as $4$ unused squares which alternate with the end bits of the crosses. 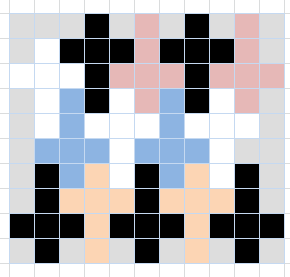 Each short side will have the previously-mentioned $2$ unused corner squares and at least $4$ other unused squares. This alone (unusable side squares) gives us a maximum $90$ squares that could contain parts of crosses. If we could rearrange that remaining space, and if, instead of crosses, we were trying to pack $3\times2$ rectangles in that remaining space, then we could fit exactly $15$ of them in there. This, in combination with the reasoning given in @M.M's post, shows that $14$ is the largest number of crosses that can be contained entirely within a $10\times11$ grid. extremely arnold schwarzenegger voice remember when I said I would never do another math puzzle again. i lied. I cannot manage a better arrangement. Not the answer you're looking for? Browse other questions tagged mathematics combinatorics checkerboard or ask your own question.